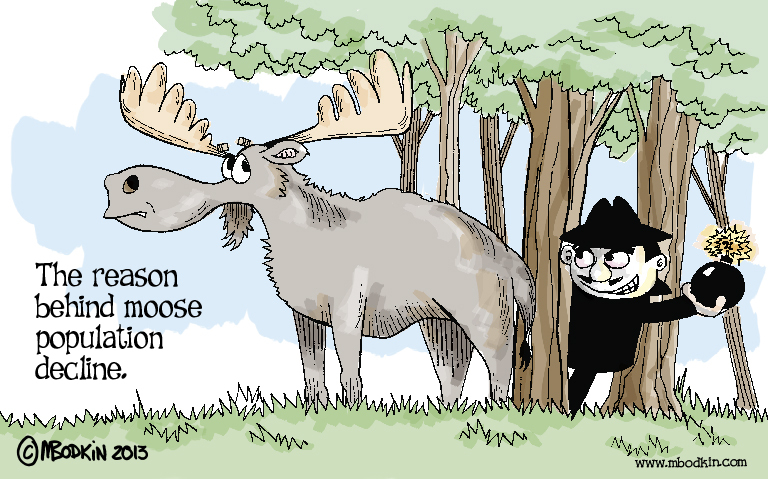 A few weeks ago, the NY Times ran a story about the moose population. Here it is, I’ll wait while you read. Done? Good. I think I know what’s going on. This entry was posted in Cartoon, Editorial Cartoons and tagged bodkin, cartoon, moose, New York Times by bodkin. Bookmark the permalink.